When your business has a unique, creative concept, your website should reflect that. 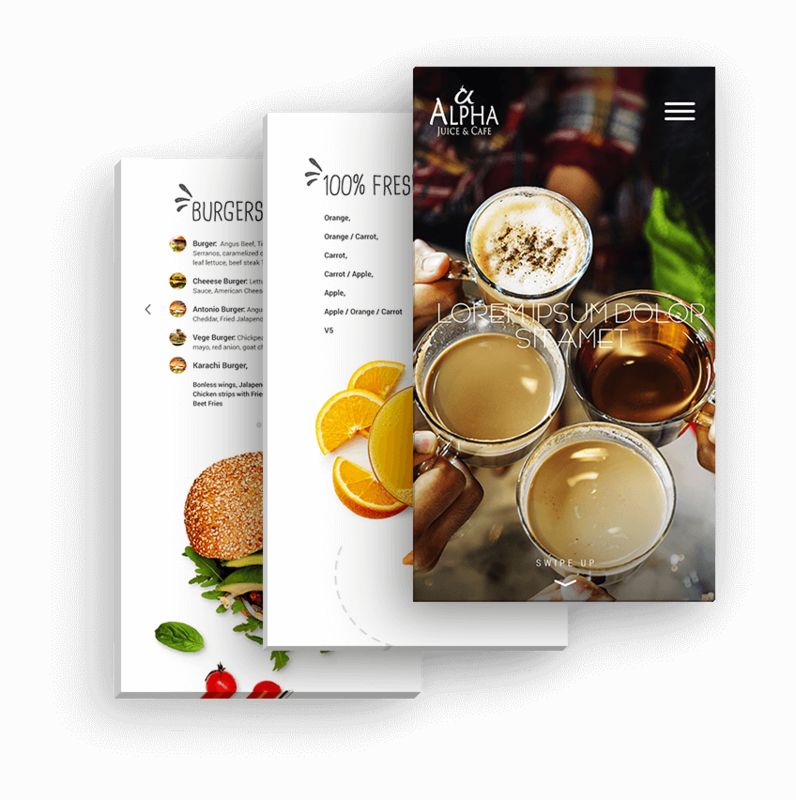 Alpha Juice Cafe contacted us because they did not want a cheap, “everyone-has-that-same-one” kind of website. They wanted something that was custom, beautiful, fresh and user-friendly. Before the brainstorming, research and design, we have an extensive discussion with each client about their brand, unique selling points and customer demographics. From our first meeting, we immediately felt the ‘vibe’ that we knew we would have to recreate in their website design. In this restaurant web design, it was not just about highlighting the exceptional quality of the food. It was about showing off the uniqueness of their concept and also appealing to a younger audience, while still portraying it as a family-friendly establishment. We knew the best way to connect with the audience would be through strong images positioned on a clear background. 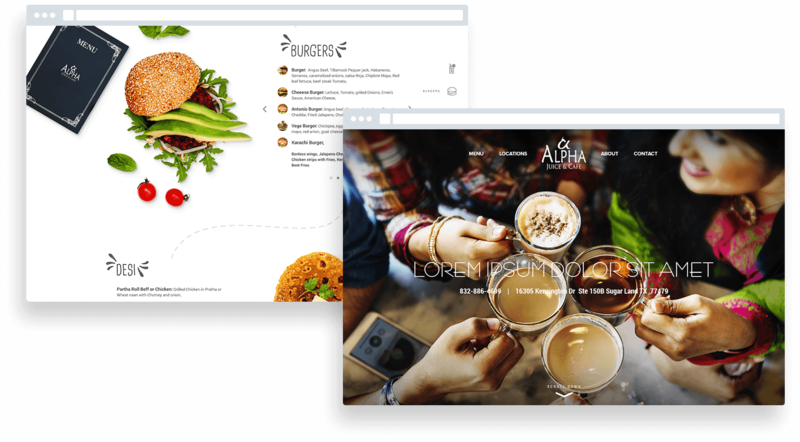 The new website design of Alpha Juice Cafe is clean, minimalist and simple; it features a shot of their ideal clients toasting with what looks like healthy and delicious drinks. As you scroll down, you are immediately taken to brief descriptions and colorful pictures of their menu - dishes, drinks and desserts. With many of our restaurant web design projects, we end up developing an online ordering system too. However, the concept of Alpha Juice Cafe was different - they did not want to encourage people to stay at home. Exactly the opposite, they wanted their clients to join them, and have a great time with great company. The structure of their website is welcoming, appetizing and intuitive. Alpha Juice Cafe is a South Asian burger and juice joint located in the heart of Sugar Land. Their food and their interior makes it the perfect East-meets-West ambiance. Alpha Juice Cafe is the perfect place for tasty and healthy meals with friends.